Jonathan Harrington Crossley’s parents had great expectations of him. He belonged to a family of intellectuals and he was expected to follow in their footsteps. But Jonathan wanted something different—something more real, something more connected with life. He wanted to taste the excitement of the business world. He even saw himself as a future Donald Trump. The fact that he was black never struck him as relevant. 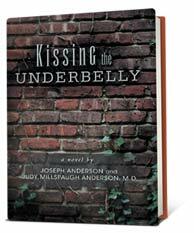 Kissing The Underbelly tells his story.